Here is some preparation on setting up home network. You should be able to decide what network equipments you need after this reading. You need network cables for building home network, because you are going to set up a wired network. What you need is straight cable, it’s used for connecting different devices, such as computer with router or router with modem. The other popular type of cable is crossover cable and usually used to connect same devices, such as computer with computer or switch with switch. If you wish to learn more, here is detail network cabling explained. Network router is the most important device you need to have in order to share Internet connection with other computers and route network traffic to internet. It usually comes with 4 Ethernet port for connecting to your computers or notebook, and with a WAN port for connecting to DSL/cable modem. There is also built-in firewall on router for adding one more layer of protection for your home network. Kindly check out variety of routers here . 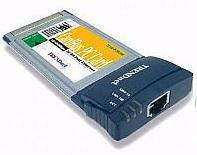 Ok.. here comes the network card, it’s called Ethernet adapter also. You need it to connect your computer to router. How about built-in network card? It’s actually pretty common for having built-in network card in your computer motherboard. So… check the back of your CPU casing and look for the network RJ45 port. If you are not sure the port, hook in with network cable and see whether it fits. If you found it, that means you have built-in network card. In case you need it, here are 2 examples of PCI network card, make sure you have PCI/ISA slot for seating. You can find out more network card information here. If you have built-in network card in your notebook, forget about this section. This is PCMCIA network card for notebook. Simply insert to your notebook’s PCMCIA slot, install driver and connect it with network cable, then it will work. If you are lazy to open your computer in order to plug in PCI/ISA network card or do not wish to use pcmcia network card on notebook, you can use USB network card. It supports USB 1.1 or 2.0 standard. It's plug-and-play and portable, so that you can even use single USB network card on different computers or notebooks. Have a look on these USB network cards if you need one .